By Dr. Terri in Podcasts on December 3, 2016 . In today’s episode, I will be sharing about my personal experience with overcoming depression and discussing some treatment options that can be helpful to everyone who struggles with this disorder. We will also be discussing the importance of avoiding drinking your calories. Lastly, I’m going to tell you about some of the benefits of using Pinterest for health reasons. I’ve been very blessed in life. I’ve never gone hungry, or had to unintentionally sleep in the cold (camping is a story for another day!) My basic needs have always been met. I have been in relatively good health all my life. My parents (both over 70) are still living and in fairly good health as well. I have been married for 25 years to a wonderful man (Russ) and I have two healthy grown children. I learn easily and have had multiple opportunities to gain knowledge through education. I’m one of those oddball people who crave self-help books and always try to improve myself, regardless of the pain involved. But, one battle that nearly broke me was my battle with depression over 20 years today. I found that no matter what I achieved in life, I always felt that something was missing. I had great difficulty finding contentment and happiness in my daily existence. When I went to work, I stayed busy saving lives in a local hospital, and I escaped my pain and emptiness for a little while. But in the quiet of my home, when everyone else went to bed, and the chores were done for the day, I would often cry and be saddened by the fact that this was all there was in life. I became very hopeless and started to think life was worthless. At one point I was on the verge of being suicidal, wondering if the world would be better off without me in it as I desperately sought an end to my pain. If you’ve met me in the last 10 years or so, you would never believe that I could have gotten so low and fallen so deeply into the pit of despair. I’ve always been a high achiever, somewhat Energizer Bunny-like, and ready to take on the next challenge. But truthfully, during those years there were some days I had no desire to get out of bed and only did so because of my obligations and my inability to intentionally let others down. The saga of going through the motions, feeling horrible inside, but keeping my pain bottled inside went on for several years. There were moments of joy (like seeing my children take their first steps, or say their first words). But, the feelings of doom and gloom always returned. Finally, my husband helped me setup an appointment with our family physician to at least discuss the issue. He referred me to a psychologist and suggested I start regular counseling. There were problems setting up an appointment. I got the insurance run-around and depressed people are not likely to fight for their rights, they’re more likely to just forget ii and so I did for several more months. Ok, enough already. If there was a way out of the hole, I wanted to find it. I felt like a bad mother and my poor children were stuck with what they got. My husband never knew what kind of a mood I might be in, whether there would dinner when he got home or not. Our marriage started to suffer, literally, everything started to suffer. So, I finally got the nerve to call again and try to schedule an appointment and did this time. Almost immediately, I began to feel better. I started regular counseling sessions. I was started on a medication designed to increase my serotonin levels. And I also began seeking spiritual guidance as well. I needed physical, emotional, and spiritual help. The ironic thing is that to an outsider, you may not even realize I had a problem at all. Beyond all the honest to goodness treatment I was receiving, one of the most comforting things was just knowing someone else cared and was trying to help me. And for the first time in a long while, I felt there was hope. I know some of you prefer my podcasts compared to reading my blogs. But I do want to make you aware that this past week on Thursday, December 1, 2016 I spoke about depression in my blog post entitled Depression Management Tactics: How to Manage it Before it Manages You! I invite you to take a look at that post, as I highlight several physical, emotional, and spiritual treatment options that were very helpful for me personally and may also be beneficial to you or a loved one. For example, did you know not getting enough sleep or well-balanced meals can promote depression? Sometimes simple changes such as sleeping better or eating healthier food can make a big difference. Additionally, I want to recommend a book that I read during this time. It’s called How To Win Over Depression by Tim LaHaye. Although it’s not a new book, I believe the information provided by this author is still very applicable today. In wrapping up my experience on this topic, I want to encourage you to seek help with a professional if you are experiencing any concerning symptoms. I’m going to list several of them for you below. I did choose to seek help and my treatment plan included several things, not just one. I experienced a certain degree of help right away, and more healing occurred over the next several months and years. Today, I won’t say I never have a bummer of a day – because we all have bad days. But I can confidently say that I have been healed of depression. I know what I need to do to stay out of that pit. And I choose to do the things that will keep me healthy. Anyone can find and receive help. Anyone can start to see improvement in a very short period of time. The first step is to reach out for help. Reach out to any of your healthcare providers and you will be pointed in the right direction. Today’s health tip actually came from my husband, Russ Wenner, who heard this suggestion on a podcast he had listened a few years ago. The podcast was called “1 Meal 1 Workout” by host Aaron Butler. Although the podcast is no longer recording new episodes, you can still find the archives at the website, listed in the show notes. Aaron proposes that one way we can drastically reduce the number of calories we take in each day to only drink non-caloric drinks and save the calories for actual food. Hearing this usually leaves people with 1 of 2 questions. We’ll talk about each one of these. Won’t I be missing out on some important nutrients by not drinking calories? The absolute best thing you can drink is purified water. You do need to make sure the water is safe to drink and is as clean as possible. But plain water is best. Next on the list is coffee or tea that don’t have anything added to them. That means no milk, creamer, sugars, or sugar substitute. The biggest concern we hear about this is what about healthy juices. Don’t we need our Vitamin C each day? Aren’t vegetable drinks good for me? Research has shown that eating the actual fruit or vegetable is the healthier choice. By eating an orange or grapefruit, you are receiving fiber, have the benefit of chewing something, and will feel fuller after you’re done. It’s way too easy to drink way more juice than you really need. By you’re not likely to over-indulge by eating too many grapefruits! Here’s a sample for you. And this type of drink is actually one of the better ones for you. Just think about how many calories we take in with milkshakes, alcoholic beverages, heavily creamered coffee & more. If you have listened to me before, you already know this, but I never recommend avoiding something 100%. Knowing you can’t have it only makes things worse. But I will say you should save it for special occasions. For example, if you’re a real egg nog buff, splurge once or twice a year – but that’s it! Have a milkshake on your birthday, but not every week. You get the picture. Your challenge is actually a three-day challenge. For day one, calculate how many calories you are taking in with beverages. On day 2 you get to evaluate that list and decide if anything on the list can be replaced with something non-caloric. Then on day 3, you have to put your plan into action! I’ll be checking in you to see how it’s going. Whether you’re already a Pinterest user or not, you may not be aware of how many things you can find on Pinterest that have to do with health promotion! First of all, I don’t want to assume everyone know what Pinterest is, so let’s start there. Each Pin you see on Pinterest links back to the site it came from, so you can learn more—like how to make it or where to buy it. People use Pinterest for many different types of things. Some people like to track fashion trends, others prefer DIY crafts, other like to find new recipes. But I want to clue you in how many health related things there are too! Searching on the word “Health” I found over 50 subcategories – that’s 50 people! Wow, even I was impressed. Here’s a list of the first 10 to give you an idea of what I’m talking about. I have created a Pinterest account, and I invite you to check it out if you’re not already following me! There are 22 boards of Pins that are separated by topic. I have a things ranging from Emotional Health to Recipes Worth Sharing. So be sure to check them out. A personal benefit of Pinterest health related boards for me is that I’m always learning new things. New recipes, new exercise techniques, motivational quotes, healthy living tips & more. I also participate in a few collaborative boards where I have privileges to pin things to other people’s shared boards. That adds a sense of fun to it. I also should mention that some pinners are actually companies, who have pinned items for sale if you’re interested in that! 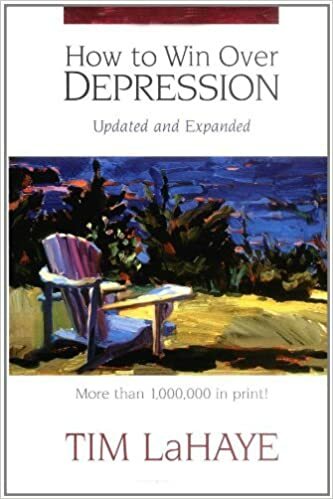 Are you or anyone you know suffering from uncontrolled depression? If so, make a plan today to find help. How many calories are you drinking on an average day?